It’s important to know what customers, the public, and other businesses think and know about us. 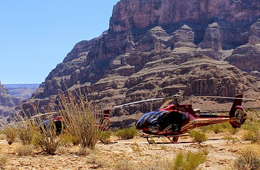 Grand Canyon Helicopter Tour is so much more than that. Certainly, the Grand Canyon is an incredibly breathtaking experience. We like to feel we’re doing our part to make it simple for people to visit this national park whether they have a few hours to fit it into their schedule or a few carefree days for the trip of a lifetime. Variety is the spice of life, so we put variety in our park tours so you can choose the experience that fits your style. Millions of people visit Las Vegas annually, and it’s common for them to find extra time on their hands. We provide some of the best Grand Canyon tours leaving from and returning to Vegas on a regular basis. You’ll also find tours to the city’s popular sites, including Fremont Street, and tours with a Vegas departure and turn to other hot sports like an ocean cruise and Disneyland! Send the family on a special event while you attend a workshop or seminar, or let them tour the city with an experienced guide until there’s time for all of you to add excitement to this trip. Why is the Grand Canyon so special? There’s no other area quite like it. Nature’s own landscaping style is beyond comparison. We’re partial to the history behind the land, the rafting and hiking opportunities, and the opportunity to hear the gasp of delight from one of our guests seeing the impressive beauty of the massive Arizona canyon. Sometimes a helicopter flight doesn’t fit with your plans, but a bus ride is perfect! Look to us for that experience, as well. Champagne lunch at the bottom of the Canyon’s west rim. Scenic views from the air. Recorded commentary via audio headphones during the flight. 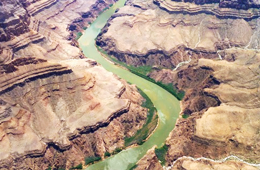 45-minute helicopter flight from Nevada to Arizona’s Grand Canyon West Rim, seeing the Colorado River and Hoover Dam on the way. A descent of 4,000 feet at Grand Canyon West to the floor by the river. A 15-minute boat ride with a narrated commentary. A shuttle bus ride to explore the top of the canyon. 2 or 3 nights Las Vegas to Anaheim luxury motorcoach journeys to California Adventure and Disneyland! A Morning Maverick Horseback Ride includes a delicious cowboy breakfast at a working ranch and riding some of the friendliest horses in the west. 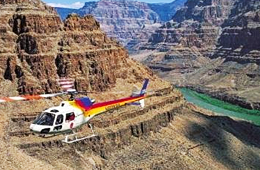 Grand Canyon Helicopter Tour seeks to provide a safe, exciting entertainment for locals and visitors. Booking your adventures through our company gives you one convenient contact point for all events.